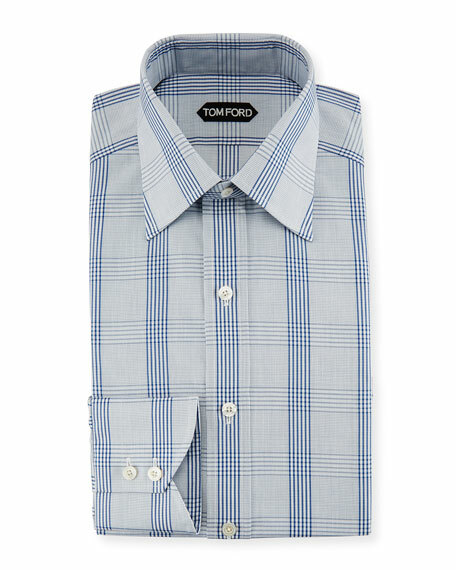 TOM FORD dress shirt in plaid. Exclusively ours. 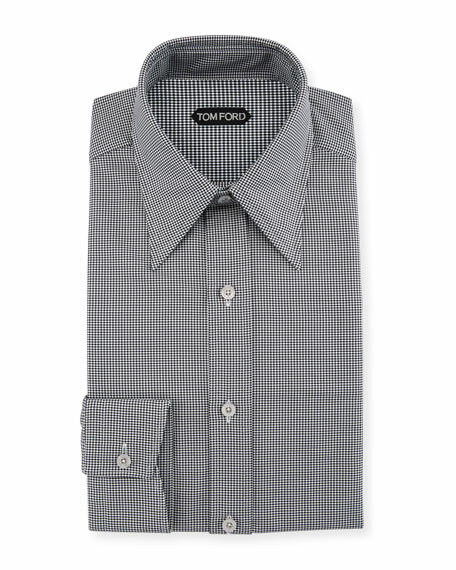 Brioni end-on-end woven dress shirt. 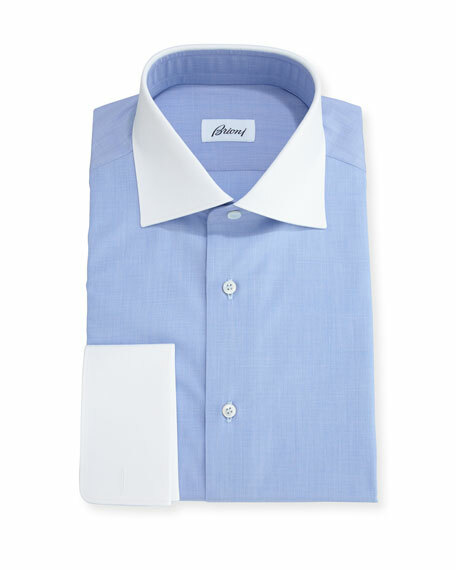 Contrast spread collar; French-placket button front. Contrast French cuffs. Shirttail hem. Cotton. Handmade in Italy. 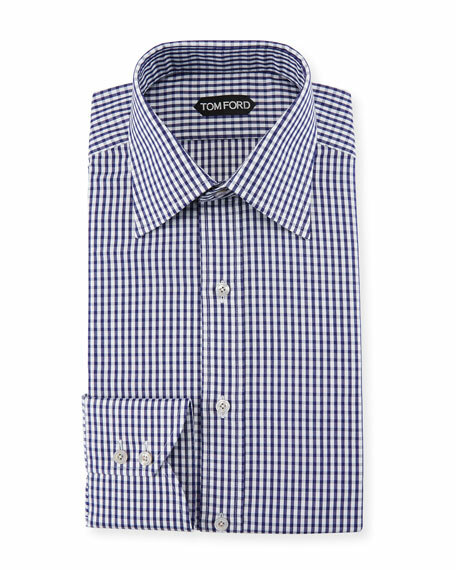 TOM FORD woven dress shirt in check. Spread collar; button front. Barrel cuffs. Shirttail hem. Slim fit. Cotton/linen. Made in Switzerland. 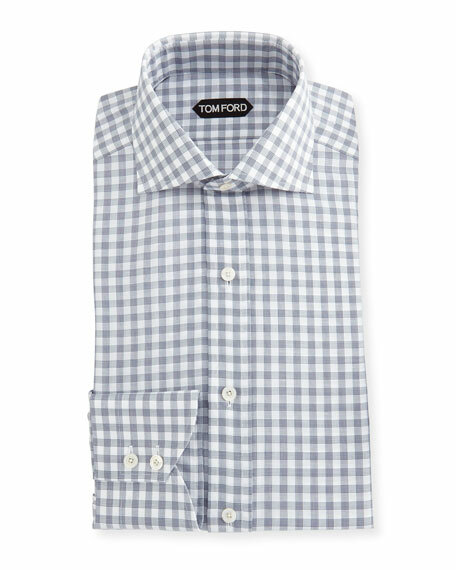 TOM FORD dress shirt in gingham check. Classic spread collar; button front. Cutaway barrel cuffs. Shirttail hem. Cotton. Made in Switzerland. 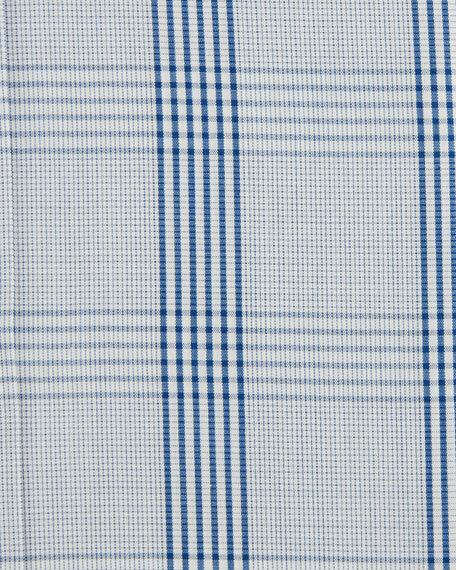 TOM FORD dress shirt in hopsack pattern. Pointed collar; button front. Rounded barrel cuffs. Shirttail hem. Cotton. Made in Switzerland.